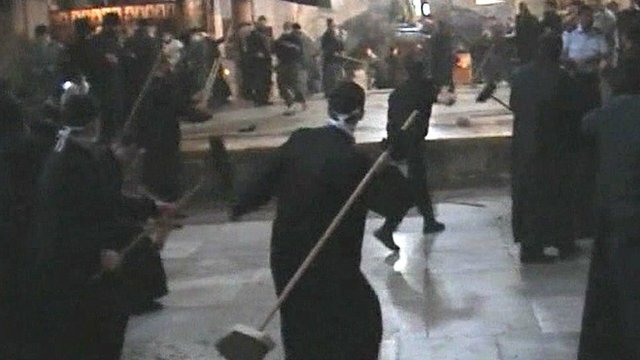 Clerics fight at Bethlehem church Jump to media player A fight broke out at the Church of the Nativity in Bethlehem after rival groups of Orthodox and Armenian clerics clashed over the boundaries of their jurisdictions inside the church. 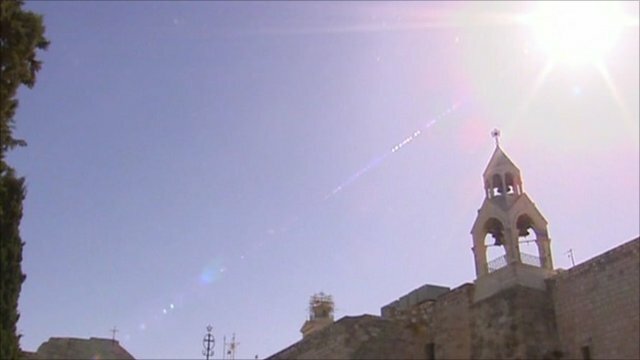 Church of the Nativity needs repairs Jump to media player The local authorities of Bethlehem warn that unless urgent repairs are carried out to the centuries-old Church of the Nativity, visitor numbers may have to be restricted. Christmas marked in Bethlehem Jump to media player Christian pilgrims and tourists have gathered in their thousands in the West Bank town of Bethlehem to celebrate Christmas. 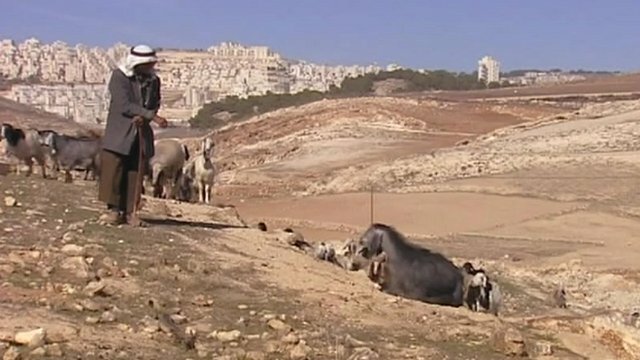 Bethlehem shepherds a dying breed Jump to media player As thousands of Christians attend services in the Palestinian town of Bethlehem, the shepherds in the town have a very different life from that featured in the Nativity. 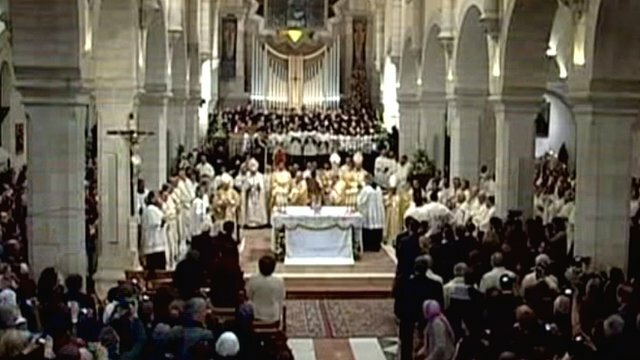 A fight broke out at the Church of the Nativity in Bethlehem after rival groups of Orthodox and Armenian clerics clashed over the boundaries of their jurisdictions inside the church. Police armed with batons and shields stormed the church to restore order, after Greek Orthodox and Armenian priests and monks came to blows during preparations for Orthodox Christmas celebrations.